A rare vertical of Macallan single malt bottlings covering the years 1945-1986 is up for grabs at Sotheby’s first Hong Kong auction of the year this weekend. 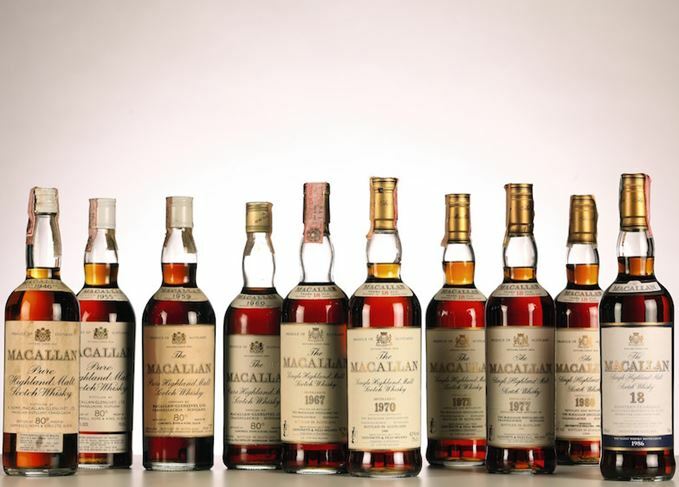 Sought-after: Rare Macallan bottlings are a key feature of Sotheby's January Hong Kong auction. 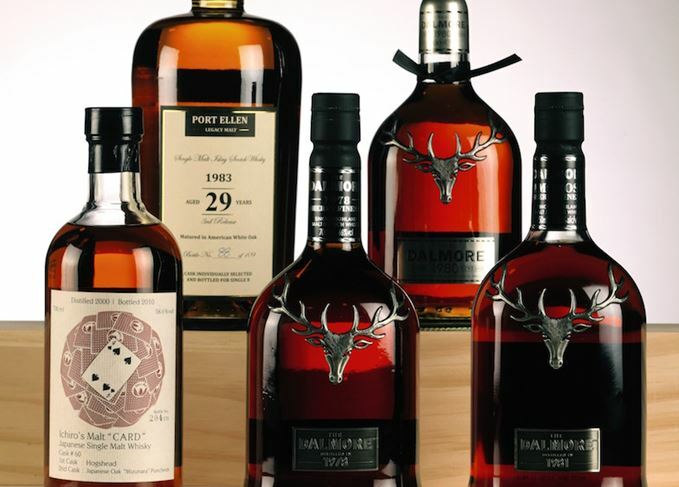 The 42-bottle collection is joined by rare Dalmore and Port Ellen bottlings in the Finest & Rarest Wines sale, to be held at Sotheby’s Hong Kong Gallery this Saturday, alongside sought-after Japanese whisky and Cognac. The Macallan whiskies are split into six-bottle lots, with the 1945-50 lot attracting a high estimate of HK$350,000 (US$45,000), compared to the 1981-6 lot at HK$85,000 (US$10,000). Three magnums of Port Ellen Legacy 29-year-old, bottled in 1983, are expected to fetch up to HK$26,000 (US$3,200), while 10 bottles of Dalmore Amoroso Sherry Finesse 1981 could make up to HK$45,000 (US$5,500). The sale also includes rare Japanese whisky from the closed Hanyu distillery, and a Rémy Martin Louis XIII Le Jeroboam Cognac gift set, expected to fetch up to HK$240,000 (US$30,000). ‘It is with great anticipation that we kick off 2016 with such an exciting auction,’ said Adam Bilbey, head of Sotheby’s Wine Asia.